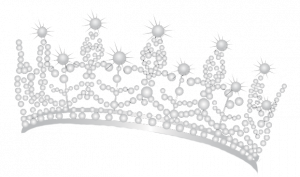 Miss Nationwide® Foundation & Pageant (“Miss Nationwide”) respects the privacy interests and preferences of our donors and website visitors. We are committed to full transparency in outlining what information we collect about donors and visitors, how it is used and how you can opt-out of those programs (online or by traditional communications) if you so choose. When you are making a donation, purchasing a product, expressing an interest in referring a contestant, contributing to our guest book, or subscribing to our online newsletter, Miss Nationwide asks you for personal contact information such as your name, mailing address, phone number and e-mail address. We may use this contact information to provide you with a receipt or financial report; to contact you to clarify or obtain additional information about an order you placed, a donation you made; or to send you additional information about Miss Nationwide. If you make a donation, we may contact you on occasion to offer you an opportunity to make another gift, or to inform you of promotions involving third-party sponsors that will directly benefit Miss Nationwide. You may also receive a personal call from a Miss Nationwide staff member or volunteer thanking you for your donation. However, as a matter of long-standing policy we do not use professional telemarketers or other outside vendors to solicit funds or otherwise communicate with our donors. You will always have the opportunity to opt-out of future communications from us. Personal contact information may also be shared with certain vendors (i.e., reputable companies we use for services such as shipping Miss Nationwide products or sending Miss Nationwide mail). We have confidentiality agreements in place with all such companies to protect your privacy. In addition to personal contact information, we ask for billing information, such as your billing address and credit card number, when you make a donation or purchase a product. We use secure servers to gather and process your billing information. These secure servers are hosted by our payment agent, Square Inc., which is bound by our site policies. Your billing information is not shared with any other organizations, and your credit card number is not retained once your transaction has been authorized and processed. All financial transactions on our website, specifically donations and purchases, are managed through our agent, Square Inc., which is TRUSTe certified. All transactions use an encrypted channel, take place on secure servers and occur in real time. No financial data, such as your credit card number, is transferred via a less-secure channel, such as encrypted e-mail, for processing. Moreover, once your transaction has been completed, your credit card number is not retained. In some instances, we ask for contact information for people other than yourself including, for example, e-mail addresses of friends to whom you send e-cards or a copy of one of our Web pages, or the mailing address of someone you wish us to notify of a donation you have made. The information we collect is used to send the donation notification or information you requested and/or to inform the recipient of the opportunity to subscribe to receive Miss Nationwide updates, and opportunities to get involved. Such contact information is not shared with any other organizations nor is it added to any mailing list without the recipient’s explicit consent. If you do not wish to participate in our list rental or exchange activities, or if you wish to modify the frequency of future communications from Miss Nationwide, please write to us at our headquarters or e-mail address below. In addition, if you have subscribed to CrownNews®(our online newsletter), you can unsubscribe by clicking on the unsubscribe link featured at the end of the newsletter. Miss Nationwide does not collect any personally identifying information from you when you visit our website unless you choose to provide such information to us. You can browse the Miss Nationwide website without telling us who you are or revealing any information about yourself. The information we gather during normal browsing comes from two sources: (1) standard server logs collect information such as the IP (Internet Protocol) address, domain name, browser type, operating system and information like the site that referred you to us, the files you downloaded, the pages you visited and the dates/times of those visits; and (2) if you have come into the website from one of one of our newsletters or from a site that has requested a link, we will ask your browser to accept a “cookie” (defined below) that carries a general marketing source code with you as you browse through the website, in order to help us match referring sites to donations made. This cookie does not capture or hold any personally identifying information about you, and is deleted when you end your session by leaving our website or closing your browser. General. This World Wide Web site with its home page in the domains “missnationwide.com” and “missnationwide.org” (the “website”) is a complimentary information service offered by the Miss Nationwide Pageant/Miss Nationwide Foundation (“Miss Nationwide”) at no charge to you as a user of the World Wide Web, with the express condition that you agree to be bound by the terms and conditions set forth in this User Agreement. Miss Nationwide reserves the right to change these Terms and Conditions any time, and you must consult the most recent version of this User Agreement and Terms and Conditions (not an older cached version) each time you view the website. Do not use the website if you do not agree to all of the following terms and conditions. Representations and Warranties. You acknowledge that the information on the website is provided “as is” for general information only. Miss Nationwide makes no representations or warranties of any kind regarding this website, including but not limited to any warranties of accuracy, completeness, currency, reliability, merchantability or fitness for a particular purpose, or any warranty that these pages, or the server that makes them available, are free of viruses or other harmful elements, and all such warranties are expressly disclaimed. Indemnification. You agree that you will hold harmless Miss Nationwide and its officers, directors and employees from all claims arising out of or related to your access or use of, or your inability to access or use, this website or the information contained in this website or other websites to which it is linked, including but not limited to claims that you have found something you have heard, viewed or downloaded from this website or another website to which it is linked to be obscene, offensive, defamatory, or infringing upon your intellectual property rights or the intellectual property rights of a third party. In no event will Miss Nationwide or the contributors of information to this website be liable to you or anyone else for any decision made or action taken by you in reliance on such information or for any consequential, special or similar damages, even if advised of the possibility of such damages. Opinions/Recommendations. You acknowledge that opinions and recommendations contained in this website are not necessarily those of Miss Nationwide or endorsed by Miss Nationwide. Linked Sites/Third-Party Content. These Terms and Conditions apply only to this website. Miss Nationwide may provide links on the website to other websites which are not under the control of Miss Nationwide. These links are provided for convenience of reference only and are not intended as an endorsement by Miss Nationwide of the organization or individual operating the website or a warranty of any type regarding the website or the information on the website. Under no circumstances will Miss Nationwide be held liable, directly or indirectly, or any loss or damage that is caused or alleged to have been caused to you in connection with your use of, reliance on, or any content, goods or services available on any other website to which this website links. You should direct any concerns to that website’s administrator. Governing Law and Jurisdiction. This website (excluding linked sites) is controlled and operated by Miss Nationwide, which is headquartered in the State of Iowa, United States of America. It can be accessed from all 50 states, as well as United States territories and other countries around the world. By accessing this website you agree that any action at law or equity arising or in any way relating to this website, shall be filed only under the statutes and laws of the State of Iowa, without regard to conflicts of law principles thereof. You also agree and hereby submit to the exclusive personal jurisdiction and venue of the Superior Court of the State of Iowa in and for the County of Pottawattamie, and the United States District Court for Iowa with respect to such matters. Miss Nationwide makes no representation that materials on the website are appropriate or available for use in other locations, and accessing them from territories where their contents are illegal is prohibited. Those who choose to access this website from other locations do so of their own initiative and are responsible for compliance with local laws. 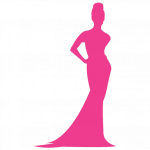 The name “Miss Nationwide”, the Miss Nationwide’s logo and other marks are federally protected marks of the Miss Nationwide Pageant & Foundation pursuant to United States Code, Title 18, Section 706. Other trademarks displayed on the Miss Nationwide website or through links to other sites are the property of the respective trademark owners. Service marks and logos used by Miss Nationwide shall not be used on or in connection with any goods or services or for a trade name or other commercial purposes by any person, firm or entity without the prior written approval of Miss Nationwide. All uses of Miss Nationwide federally registered and common law trademarks, service marks and trade names, including but not limited to those listed below, must be approved in writing by Miss Nationwide. Inquiries may be directed to info@missnationwide.com. The works of authorship contained in this website, including but not limited to all design, text and images (the “Materials”), are owned or licensed by Miss Nationwide and may not be copied, reproduced, transmitted, displayed, performed, distributed, rented, sublicensed, altered, stored by subsequent use, or otherwise used in whole or in part in any manner without our prior written consent. Unless permitted otherwise in writing, you may only access the Materials located within the website for your personal use. This means you may download copies of Materials for personal, noncommercial use only, so long as you neither change nor delete any author attribution, trademark, legend or copyright notice. When you download Materials, you do not obtain any ownership rights to the Materials. (f) Miss Nationwide reserves the right to revoke its consent to the link at any time in its sole discretion by amending these Terms and Conditions. You acknowledge and agree that you are responsible for keeping up with any such changes. All other hypertext links to this website must be approved in writing by Miss Nationwide. Inquiries may be directed to info@missnationwide.com. Use of a hypertext link does not indicate or create any endorsement, approval, sponsorship or affiliation of or with your website by Miss Nationwide. This permission to link is provided without warranties of any kind, express or implied, including without limitation, warranties of title of non-infringement. Miss Nationwide reserves the right to take action against any use of its federally registered service marks, trademarks and trade names, or any links to its website that do not conform to the conditions herein, or that infringe any intellectual property or other rights of Miss Nationwide.